Major Saver check at the April 5 BOE meeting. The Topeka Public Schools Foundation announced the success of its recent Major Saver Discount Card Campaign. The 2012 campaign set a new record raising $58,175 for Topeka Public Schools. Angelo Balisteri of Major Saver, Inc. presented a check to the TPS Board of Directors and Foundation on April 5, 2012. In his presentation, Balisteri noted the record breaking amount of cards sold and money raised. 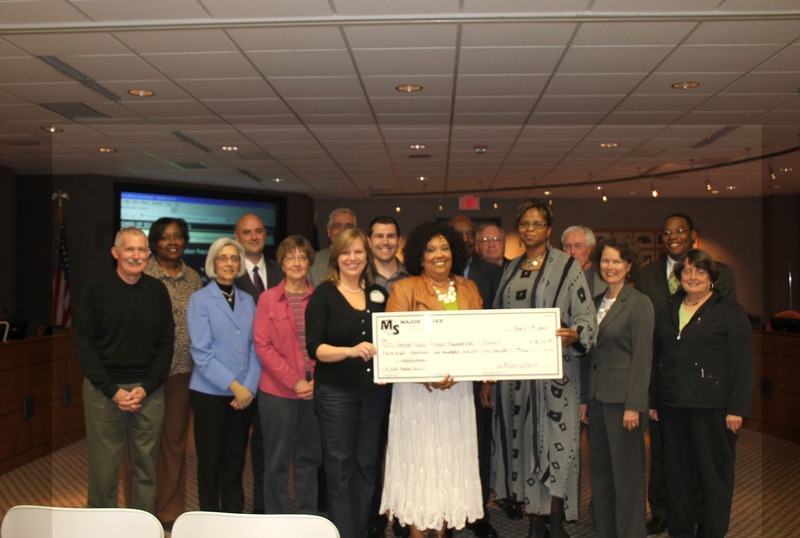 Since 2009, over $215,000 has been raised through Major Saver for the benefit of the TPS School District. Pamela Johnson-Betts, Foundation Executive Director, noted "the funds raised through the partnership with Major Saver have been invaluable in carrying out the Foundation mission to support the District"
Since its inception in 1986, the Foundation has made a difference in student learning contributing over $850,000 through its Educational Grant Program, annual Win Tidwell Golf Tournament, Fall Foundation Community Breakfast and overseeing scholarships awarded to TPS seniors. Board of Education members acknowledged and thanked parents, students and local businesses who participated in the 2012 discount program. Local business sponsors included: Cici's Pizza, Hanover Pancake House, Baker's Dozen, Jersey Mike's, Casa, Sonic, LaFuentes, Papa Johns's, El Maguey, Dickey's, Jason's Deli, Quizno's Sub, Gage Bowl, Sheridan's and Chili's.